Green Courier is the leading environmentally-friendly courier in the UK. We are committed in reducing environmental impact by offering courier services using a fleet of modern vehicles that run on engines in order to protect the environment. We meet the demands for dependable courier services and adhere with delivery requirements in an environment-friendly manner. 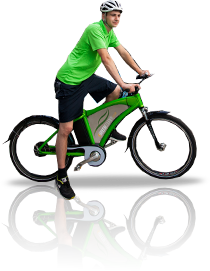 Green Courier helps in reducing environmental impact by using one of the lowest carbon emitting fleets in the industry, including bicycles, electric vans, motorcycles and ultra-low emission vehicles. Moreover, we offer same day delivery courier service in London to serve your urgent needs. Delivered by the end of the day in the most environmentally considerate way. Delivered within agreed time parameters. Green Courier conducts many regular multi-drop deliveries on behalf of its clients. Some of these runs are pre-set on a daily/weekly/monthly basis, and others are simply booked ad-hoc when required. Find out more. 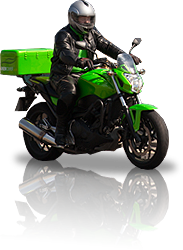 For deliveries that are not so urgent in nature, Green Courier has an overnight service available to account customers. The pricing structure is dictated by the size and weight of each consignment, and the timing window for delivery. Green Courier has global coverage, allowing for deliveries overseas to almost every town in every country in the world (barring conflict zones). This is a very intricate service, and a lot of factors combine to generate the prices charged. 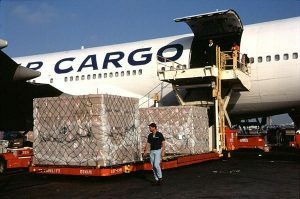 Green Courier has an extensive international network and provides a full range of international logistical services. We offer an extensive road haulage, warehouse storage and stock-holding and distribution. Green Courier has Short Wheelbase and Long Wheelbase Transit vans and Luton vans with tail-lifts available for the delivery of large consignments. 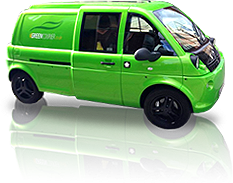 Green Courier boasts a large fleet of small vans of which an ever-increasing proportion is made up of zero-emission electric powered vehicles. Green Courier has invested in a large fleet of ultra-low emission goods vehicles that emit a minuscule 89g/KM in CO2 in addition to returning over 70mpg. Parcels sized up to lever arch file / shoebox. Green Courier uses motorcycles purpose-built by Honda that have been designed with low-impact environmental activity in mind. The original zero-emission vehicle. Green Courier operates one of the largest bicycle fleets in the country. 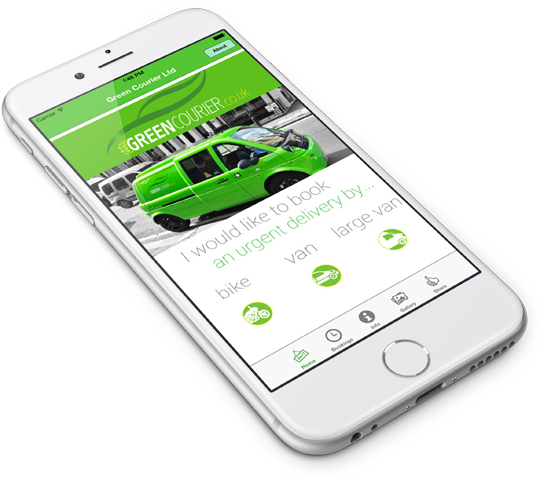 The Green Courier mobile app allows booking of same day carbon balanced couriers by cycle, motorcycle, electric and ultra-low emission van or large van for any consignment from an envelope to a large van load. Your parcel will be delivered in the most environmentally friendly way possible.